Sanders Beats All Top Republican Candidates In Latest Poll Although Clinton still has a healthy primary lead. WASHINGTON - Congress has agreed for the first time since 2005 on a long-term transportation bill that will raise federal spending on highways by 5 percent and transit by 8 percent in its first year. Over the bill's five-year life, California will get $26 billion in federal funds for a variety of transportation projects, a 14.5 percent increase. Retiring Sen. Barbara Boxer, a California Democrat who joined hands with conservative Sen. James Inhofe, R-Oklahoma, in a months-long drive to break through conservative antipathy in the House to increasing government spending on domestic programs, counted the legislation as a major achievement when it was announced late Tuesday. The bill is expected to win approval in both chambers this week, just in time to avoid Friday's expiration of the Highway Trust Fund, the main source of federal transportation funding. "It was a mammoth task to complete work on this bill," Boxer, the top Democrat on the Environment and Public Works Committee, said, noting that bike and pedestrian paths, typically a big source of friction with Republicans, will share the bounty. The bill lacks a sustainable funding source, all but ensuring that when it expires in five years, the funding deficit that has allowed roads, bridges and transit systems to deteriorate for years will be even worse. Instead of securing a stable source of dedicated revenue, congressional negotiators scoured the budget for obscure alternatives, from raiding the Federal Reserve's cushion against bank losses to revoking the passports of citizens behind on their taxes by $50,000 or more in an effort to get them to pay up. Both parties have shunned an obvious source of ongoing funding by refusing to raise the 18.4 cents a gallon federal gasoline tax - reflecting intense voter hostility to any increase - meaning that money to repair the nation's deteriorating transportation systems will lag even further behind needs when the bill expires in five years, said Richard Auxier, a research associate at the Tax Policy Center, a nonpartisan think tank. The tax hasn't been raised since the Clinton administration, while the cost of fixing roads and bridges and building transit systems continues to increase. Revenues have also declined as the fuel efficiency of cars has risen. Auxier said that adjusted for inflation and rising transportation costs, the value of the gas tax today is only 8.4 cents compared with 1994. Rep. Jeff Denham, a Turlock Stanislaus County Republican, who helped negotiate the bill, also included language encouraging the planting of pollinator habitat on highway medians and a requirement that Amtrak come up with a policy to allow pets on trains. Boxer won a provision she has long sought that would ban rental car agencies from renting vehicles subject to recall until the safety problems are fixed. The provision is named for Raechel and Jacqueline Houck, two sisters from Santa Cruz who were killed in 2004 when their Enterprise rental car, under recall for a faulty power-steering hose, veered in front of an 18-wheeler on Highway 101 between Bradley and King City in Monterey County. For the past decade, as both parties refused to raise the gas tax, Congress passed stopgap bills of no longer than two years, making it difficult for state transportation officials to plan large projects. Boxer said half the nation's roads are now in "less than good condition," and 61,000 bridges are structurally impaired. Caltrans issued a statement saying it was "encouraged" by the legislation, adding, "the current method of stop-gap funding drives up costs for state highway programs and makes rational planning impossible." financier. But his ideological vision has unsettled many in the state. People with very low incomes are not usually required to file a tax return, but must do so to keep premium tax credits provided under the Affordable Care Act. United for Port Truck Drivers! On the front line of the fight to end the misclassification/wage theft scheme are the professional truck drivers at our nation’s largest port complex – the twin ports of Los Angeles and Long Beach. Over $500 billion in goods per year flow through these ports, yet the men and women who haul these containers on and off the docks to nearby rail yards, distribution centers, and warehouses are frequently toiling below minimum wage. Economic retaliation against drivers – mostly in the form of reduced work – has left drivers with little choice but to escalate their demand for employee rights by publicly speaking out and by striking. Next week between October 26 - 30, join them in this fight by volunteering for 8-hour picket line shifts starting at 6 a.m., 1 p.m., and 8 p.m.
For more details, call, text, or email Sheheryar at 213-453-8454 or skaoosji@laane.org. Please join El Super grocery workers, and their community allies for a mass mobilization to El Super’s corporate headquarters in Paramount, CA on Wednesday, October 28. The action will be done in support of El Super workers’ struggle to win respect and a fair union contract - which has entered its third year. These workers have courageously stood together to win basic, "industry-standard" improvements in their working conditions. They are seeking enough paid sick days so they are not forced to handle their community’s food while sick, more guaranteed hours so their paychecks translate into a decent living standard, better pay, and above all, the company’s respect. WE NEED TO KEEP THE PRESSURE ON EL SUPER TO WIN RESPECT AND A FAIR CONTRACT!!! When: Wednesday, October 28, at 1:00 p.m. The Raise the Wage campaign is built on hard-working people. Real people. We won a $15 raise in LA by signing up more than 100,000 supporters. We’re going to win a $15 minimum wage in Pasadena the exact same way. We’re up against millionaires and big businesses who want to keep poverty wages in place so they can line their pockets. They have tremendous resources. But we have something they don't: You. And nothing can compare to human interaction, a face-to-face conversation, and a promise from one person to another. Please spend an hour with us tomorrow, October 24, for a Pasadena canvass to raise the wage. We’re going to have fun and we’re going to make a real difference. Click here to RSVP, and for more information contact Imelda Padilla at ipadilla@laane.org. When: Saturday, October 24, from 9:00 a.m. - 12:00 p.m.
Additionally, join the team next Tuesday as they rally for more paid sick days with enforcement in the city of LA! Jobs to Move America is applying for the LA2050 Grants Challenge. The program’s Modern Rosies Project will create opportunities for women in LA by increasing recruitment, training, hiring and support for women in manufacturing; and by promoting equity and safety programs for women in LA's transit manufacturing industry. Your online vote for the Modern Rosies Project could lead to Jobs to Move America being awarded $100,000 to partner with local educational institutions and training programs to create manufacturing jobs for women in LA! Please help them create these opportunities for Modern Rosies, like Lilla Wallace, pictured above. 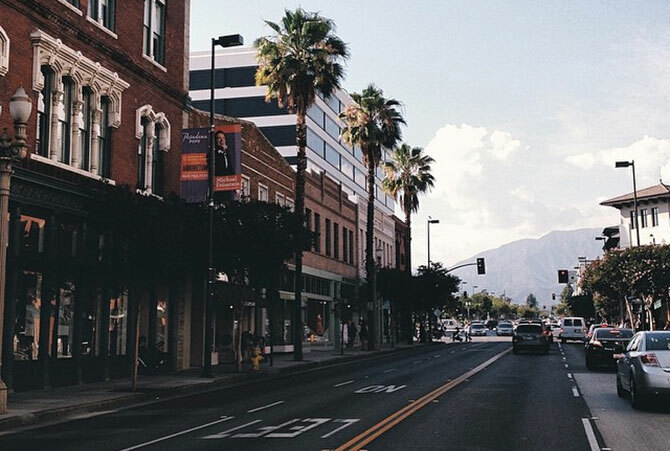 Lilla was born and raised in Los Angeles. She now works as a cleaning specialist at a railcar refurbishment facility in Los Angeles. Lilla says that "Women Can Build means that if we put our mind to it, we can build anything." Vote here from now until 11/3. 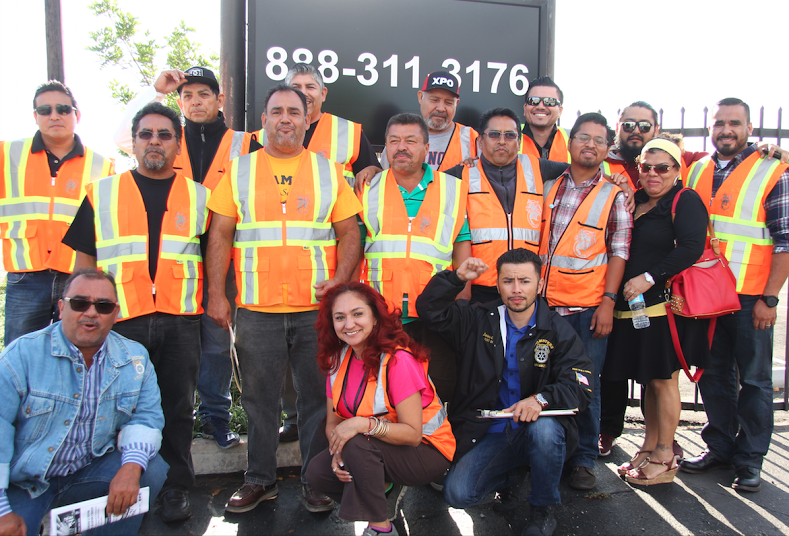 Warehouse workers at California Cartage have continued to face intimidation by management for speaking up against unfair labor practices, wage theft, and unsafe working conditions at the Port of LA. No one should ever be silenced by their employer. 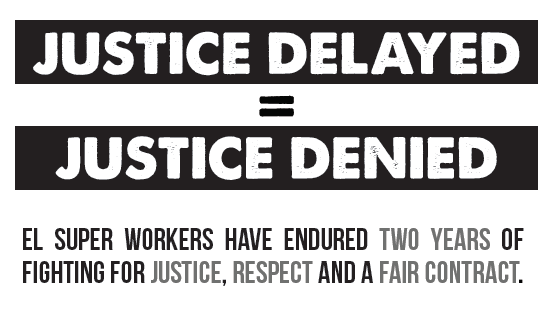 Join the Warehouse Worker Resource Center next Thursday as they demand justice and respect for warehouse workers! When: Thursday, October 29, at 3:30 p.m.
An act to add Section 1720.9 to the Labor Code, relating to public works. We regret to inform you that former Local 952 Vice President and Business Representative John Davis has passed away. We would like to congratulate Hispanic Caucus Scholarship winner Cora Roberts, daughter of Brother Mike Roberts from UPS. 250 of Our Brothers and Sisters at Sun Tran went on strike in Tucson, Arizona. They have been on the picket lines due to Unfair Labor Practices. The Federal Reserve, headed by Janet L. Yellen, will soon, if not this week, raise interest rates for the first time since the crisis. Locals of the United Food and Commercial Workers Union in Los Angeles and Seattle came down hard Wednesday on Haggen following its announcement Tuesday that it had filed for bankruptcy protection under Chapter 11 — a process the company said would involve reorganizing around its core profitable stores. The decision to sell stores is “a callous act by a greedy and incompetent corporation who lied and stumbled its way into this situation and is letting employees and consumers suffer the consequences,” Rick Icaza, president of UFCW Local 770 in Los Angeles said. Haggen officials could not be reached for comment. The local represents nearly 1,500 union members working for Haggen. “Rather than doing the right thing, Haggen is fleeing the field,” Icaza said. “Instead of creating a long-term sustainable business plan that would have benefited workers and shareholders alike, Haggen took the greedy route of quick, short-term profits and ended up harming our community and neighborhoods. “This is not just a case of an inexperienced, unprepared retailer floundering in a competitive market. This is a case of a profit-hungry Wall Street investor [Comvest Partners, the West Palm Beach., Fla.-based company that owns the majority stake in Haggen] lying to employees and the communities they serve in order to make a quick buck. Local 770 and other Southern California locals filed charges against Haggen in late August for illegally laying off and reducing hours for workers, failing to fully inform them about job protections and failing to adhere to legally binding protections in the union contract. The UFCW said it settled similar grievances filed against Albertsons. Tom Geiger, president of UFCW Local 21 in Seattle, which represents approximately 1,500 Haggen employees at the original 18 Haggen stores in the Pacific Northwest plus 10 others, expressed disappointment the company did not let the union and its members know about the Chapter 11 filing ahead of the media. The union expects Haggen to honor its union contracts, he noted, “and we will fight to make sure they do. As part of our efforts, your international union is coordinating united responses from our entire union family. Instead of picnicking, Steelworkers in six states will spend this Labor Day picketing the gates of a dozen Allegheny Technologies Inc. (ATI) specialty mills. These 2,200 Steelworkers are not on strike. They never even took a strike vote to threaten a walkout. ATI locked them out of their jobs. ATI threw them out of the mills on Aug. 15 even though the Steelworkers clearly told the corporation that they were willing to work – that they wanted to work – while negotiating a new labor agreement. A lockout like this is a weapon increasingly deployed by corporations to injure workers, families and communities. And corporations are doing it even as workers engage in significantly fewer strikes. The growing use of lockouts to force workers to accept corporate demands demonstrates that the already powerful – corporations – have secured even more might in their relationship with workers. Corporations’ lopsided hold on power in the United States has suppressed labor unions and contributed significantly to wage stagnation and income inequality. A century ago, the power imbalance between corporations and workers looked like Jabba the Hutt commanding one end of a seesaw and Yoda clinging to the other. By the 1930s, workers fumed about this inequity and labor unrest was rampant. In 1935, Congress passed the National Labor Relations Act (NLRA) encouraging collective bargaining and giving a little weight to the workers’ end of that seesaw. For several decades, workers organized and secured gains in pay and benefits. By the 1960s, a third of the U.S. workforce was unionized. Because organized workers had the power to win labor agreements calling for better wages, income inequality declined significantly from its peak in 1929. Thirty years after the NLRA passed, CEOs earned about 20 times the pay of average workers. Since the day the NLRA took effect, though, corporations lobbied to recover the small measure of power Congress gave workers. Congress, courts and too many state legislatures complied with corporate demands, handing them more muscle in their dealings with workers. As a result, now only 11 percent of U.S. workers are represented by labor unions, about the same portion as before the NLRA passed. The number of strikes in a given year is down to a sixth of what it was just two decades ago. Income inequality is back to 1929 levels. CEOs now pull down nearly 300 times what workers get. ATI is an example. It locked out workers to force them to accept massive benefit cuts. Just one year ago, however, it handed its top management team raises of up to 70 percent, so that the top five executives pulled down more than $19 million. Between 1978 and 2013, corporations increased compensation for their CEOs by 937 percent, while raising worker pay a paltry 10.2 percent. The situation worsened for workers recently. A study by the National Employment Law Project released last week found that considering inflation, median worker wages actually fell by 4 percent between 2009 and 2014. This occurred even while worker productivity increased. Another report released last week, this one by the Economic Policy Institute, shows that the benefits of better productivity have nearly all gone to corporations, shareholders and top executives. Workers produced more and got less. Instead of investing in workers, research and development, corporations are increasingly spending virtually all profits on stock buybacks, a practice that increases CEO compensation. Corporations are using lockouts to try to take even more from workers. That’s what the Minnesota company American Crystal Sugar did. It was earning record profits, yet demanded concessions from workers. When the 1,300 members of the Bakery, Confectionery, Tobacco Workers and Grain Millers Union said they wanted a fair share of the wealth that their labor had created, the company locked them out on Aug. 1, 2011. American Crystal Sugar contracted Strom Engineering to find replacement workers. That’s the same company ATI hired in an attempt replace its hardworking, highly-skilled Steelworkers. American Crystal Sugar paid the inexperienced replacement workers more than it did its veteran workers – just as ATI is doing. They’re willing to do that because their goal is eventually to kill the union, just as robber baron Andrew Carnegie and his henchman Henry Clay Frick did in 1892 when they locked workers out of the Homestead Steel Works. That lockout cost the lives of six steelworkers and at least four Frick-hired Pinkerton guards. But Frick and Carnegie didn’t care about that. In the end, with the help of troops sent by the state, they got what they wanted – the ability to impose wage cuts and hazardous working conditions with no threat of pushback from organized workers. In Minnesota, after 22 months locked out, a slim majority of Bakery, Confectionery, Tobacco Workers and Grain Millers Union members voted to accept the concessions American Crystal Sugar demanded. That seemed to give the company what it wanted – the ability to more easily stuff into the fists of executives all the sweet profits produced by the hands of labor. But the Bakery, Confectionery, Tobacco Workers and Grain Millers Union is fighting back to protect its members. Labor is not down for the count. Far from it. Check out the thousands of Steelworkers who rallied in Pittsburgh, Chicago and Burns Harbor last week, demanding fair contracts from ATI, U.S. Steel and ArcelorMittal. Check out the success of the Fight for Fifteen movement, strongly supported by the Service Employees International Union and other labor groups. Check out the polls showing surging support for labor unions. Eric Martin, 45, of Fombell, a member of the International Union of Operating Engineers, marched in the rally because he believes the ATI lockout specifically, and lockouts in general, are attacks on workers. “Corporations are trying to break anyone who they think is standing in their way. I am standing with my brothers in this struggle,” he said. On this Labor Day, with the public at its back, organized labor demands an end to lockouts and to this new age of robber barons who impose them. Leo W. Gerard is the International President of the United Steelworkers (USW) union. He also is a member of the AFL-CIO Executive Committee and chairs the labor federation’s Public Policy Committee. Follow him at twitter.com/uswblogger. I do not have a job. I haven't had one in years. But, as mom of three little ones, I feel like I am working harder than I ever have before. Today, I woke up before the sun came up, nursed Madeline, enduring her karate chops to my bladder for almost an hour. Then, I got three kids ready for the day, winning (just barely) a major fight with Seamus about how it's too hot to wear sweatpants, and engaging in high-level negotiations with Rosena about an outfit that would cover (but not itch) the bug bites on her legs. Then we ate breakfast, and I cleaned the dishes before getting the laundry started. Finally, I hitched up the bike trailer and rode Seamus and Madeline to pre-school about three miles away. It was difficult, terrifying, fun and totally unnecessary because the bus stops in front of our house, but Seamus loves it. All that was before 9 a.m. And it's hard work for sure, but I know I'm lucky. I did it all in a nice home, in a safe community, for kids who are healthy, and alongside a husband who is working just as hard as I am. I am thinking about my old jobs and my current (hardworking) joblessness now because Labor Day is almost upon us. The U.S. Department of Labor notes on its website that the holiday was established in the 1880s to honor and celebrate the accomplishments of workers and to give working people a day of rest and relaxation -- parades, picnics and community celebrations. One of those credited with founding the holiday, union organizer Peter McGuire paid homage to working people as those "who from rude nature have delved and carved all the grandeur we behold." That sounds amazing, but today, it seems like Labor Day is more about shopping than relaxing, which means that lots of workers are working this weekend and they are not carving grandeur from rude nature. I'm talking about people like the workers at Walmart, where shoppers are being offered deep discounts on a huge array of products and workers are fighting for a living wage. Fierce battles, courageous work and old school organizing by Walmart workers and supporters have resulted in a win. The country's largest private employer company announced in February that it will raise its starting wages to $9 and then $10 an hour. This is great, but Americans for Tax Fairness found that even with these increases, Walmart will continue to benefit from billions in federal subsidies. Workers being paid $10 an hour for Walmart's 34-hour work week bring home $17,680, qualifying them for food stamps, Section 8 housing, school lunch program, Medicaid and other public support programs. Basically people are working full time, but not making a living. Then there are workers like Adriana Alvarez from Chicago. She writes, "I've worked at McDonald's for five years, but still make only $10.50 an hour. The only way my son and I can make it is with food stamps, Medicaid and a childcare subsidy. Most of my coworkers are in the same boat, no matter how long they've held their jobs." Alvarez and her three-year-old son Manny live in a basement apartment that leaks when it rains. She is a national organizer with the Fight for 15 movement. She says that when they win $15 an hour, the first thing she'll do is "move to a decent place to live and be in a neighborhood with good schools." Alvarez isn't alone; the $15 an hour living wage movement is gaining traction, but there is a long way to go before I can in good conscience consume their buttermilk crispy chicken sandwich. One of the great things about not having a job is that I didn't have to leave my little ones and go back to work when they were small. I knew I was in a privileged position, but I didn't know how good I had it until I read Sharon Lerner's groundbreaking (as well as heartbreaking and rage inducing) study for In These Times. Lerner, who also wrote "The War on Moms: On Life in a Family-Unfriendly Nation," looks at Department of Labor and Census data to try and figure out how much (if any) time women take off when they give birth. Only 13 percent of full-time workers in the United States had access to paid family leave in 2012, according to the Bureau of Labor Statistics, so everyone else has to cobble something together. Here is what she found, looking at DOL data on women who took time off to care for newborns in the last year: "Nearly 12 percent of those women took off only a week or less. Another 11 percent took between one and two weeks off. That means that about 23 percent -- nearly one in four -- of the women interviewed were back at work within two weeks of having a child." Two weeks! It took me almost a week to walk down the stairs and two weeks to fix myself a sandwich. Lerner talked with women at many points along the economic spectrum. Low-income women without access to paid leave spoke of being afraid of losing their (multiple) jobs if they stayed home to care for newborns. Raven Osbourne, a single mother in Mississippi, went back to waitressing at IHOP a week after her son was born and added overnight shifts at a gas station when he was a month old. She was also going to school full time. IHOP would have given her unpaid time off, but she couldn't afford to not earn a wage. Professional, middle-class women who worked for companies (and nonprofits) that promise decent benefits packages spoke of being afraid of taking advantage of leave packages because they might lose out on promotions. Lerner talked to Tracy Malloy-Curtis, a fundraiser at a nonprofit in New York City, who went back to work "five-and-a-half weeks after having a son -- and a complicated C-section -- for fear she otherwise could not afford to pay her mortgage and cover the other basic costs of her life." She told Lerner, "Physically, I was a wreck ... I was still bleeding, my incision wasn't closed." Her C-section wound was infected and "pus dripped down her leg under her work clothes." Lerner didn't talk with Marissa Meyer, CEO of Yahoo, about her plan to only take limited time off after the birth of her twins in December. The company has generous parental and medical leave policies, but the fact that the CEO won't avail herself of them and has assured board members that she'll be "working throughout" sends a message to the families who work under her that work comes first. I read all of this and thought, "What is the point of being worth $300 million if you can't spend time with your newborns?" The White House is working on an executive order on paid sick leave for federal contractors (but we just need to look at Guantanamo to see how President Obama's executive orders are faring). The Democratic contenders for the White House in 2016 are campaigning on paid family leave. The Democrats and Republicans in Congress are talking about the issue and trading proposals. In the meantime, women are trying to plan their pregnancies around their employer's leave policies, pumping breast milk in their cars before their shifts at the factory, getting home just in time to tuck their kids in before they go to sleep, patching together multiple jobs while their infant is in the neonatal intensive-care unit, and working through crushing depression, acute physical pain and almost physical longing for their small children. That is more money (like twice as much) as I ever made back when I was a working stiff, so that made me feel really good. That figure is also about four times what our household actually brings in, underlining just how fantastical these numbers are. But when you are feeling overwhelmed and under appreciated, it is worth a few clicks to have a computer screen tell you what your work is worth. The massive fictional salary notwithstanding, I feel really lucky to not have a job right now. It takes a lot of work, though. It takes a lot of work to live and live well on one modest salary. It takes a lot of work to inoculate my kids against the consumer bug -- the dreaded chant of "I want, I need, I want" products with Disney's Olaf on everything from breakfast cereal to bed sheets to underpants. It takes a lot of work to be on food stamps, state health care and Women, Infants and Children, or WIC -- the government-funded supplemental nutrition program. Then I need to resist the urge to be stigmatized by my subsidies. But if Walmart can get billions in federal subsidies, maybe it's okay for me too (with a lot fewer zeroes). So, job or not, this Labor Day, I stand with working women -- with Tracy and Raven and Adriana -- who are fighting for the most basic right of all: the right to have a life and make a living. Frida Berrigan is a columnist for WagingNonviolence.org, where this originally appeared, and author of "It Runs in the Family: On Being Raised by Radicals and Growing into Rebellious Motherhood.” This also appeared at HuffingtonPost.com. This Labor Day, we have one simple question for media professionals: Why don't you care about the middle class? Ah, Labor Day. A time to kick back, put your white clothes away, eat burned meat products and, if you really love to have fun, reflect on why it is that labor issues get such short shrift in our mainstream media. (See what I did there?) But really, the point of Labor Day is in the title, so, just for a second, let’s talk about how we talk about labor. There is one kind of union that gets discussed a lot, and that’s teachers’ unions, which are subject to some of the most unrelentingly negative coverage you will ever see. Take this slightly astonishing 2014 Time magazine cover story, which ran with the headline: “Rotten Apples: It’s nearly impossible to fire a bad teacher. Some tech millionaires may have found a way to change that.” Got that? Teachers’ unions bad, tech millionaires awesome. That’s our modern media consensus in a neat little package. Really, none of this should surprise us too much. It is unfashionable these days to go all Noam Chomsky and talk about the structure of some of our top news organizations, but just for a moment, let’s. Every major news network in this country — not to mention a good fraction of our top newspapers — is owned by a multi-bajillion-dollar global conglomerate. And multi-bajillion-dollar global conglomerates have a certain interest in maintaining their status as multi-bajillion-dollar global conglomerates. They are not, as a rule, particularly enchanted with strengthening labor unions — and it’s no accident that a hell of a lot of them happen to be heavily involved in supporting charter schools and battling teachers’ unions. All other things being equal, they tend to subscribe to the notion that what very rich chief executives think is best for the economic structure of the United States is, by definition, the only point of view worth listening to. Now, this is not to say that there is an overt conspiracy going on at CBS News or NBC News or wherever else to crowd out coverage of labor issues and stories of working people, or that there is never any good coverage of these issues to be found these days. The news just doesn’t work that way. But media ownership matters because the owners hire the people who hire the people who hire the people, and what are all those people going to be taught? So much of journalism today consists of an elite class covering the world, and you’d be crazy to think that that has no impact on the way journalists think. Our news agenda reflects not a smoke-filled room but rather an unthinking understanding, passed down through the years, about who and what deserves to command our attention. Labor issues and unions inevitably lose. There are signs that things may be changing slightly, though. The digital media world is rapidly unionizing, with websites like Gawker and Salon leading the charge. (Note: While I am a regular contributor to Salon, I am not on staff, and thus not in the Salon union.) The new generation of journalists has come of age during a time when the inequalities in our society have never been so stark, and when journalists themselves have never been such vulnerable members of the workforce. It’s to be hoped that this generation won’t repeat so many of the mistakes of the past, and will give labor issues, and so many other issues, the space that they deserve. Why It Matters That Colin Powell and Debbie Wasserman Schultz Support the Iran Agreement. A Republican former secretary of state and a Democratic "Jewish mother" may have just given us the strongest case yet for the nuclear agreement with Iran. The first is a pillar of the "realist" camp in the American national security establishment. The second is a rising star in the Democratic Party from a heavily Jewish district in South Florida. Together, they represent key constituencies whose support for the historic accord is critical to isolating right-wing opponents and preventing last-minute sabotage attempts. Together, they also lay out a compelling narrative of why the agreement is so important to American national security. “Here's why I think it's a good deal. One of the great concerns that the opposition has, that we're leaving open a lane for the Iranians to go back to creating a nuclear weapon in ten or 15 years. They're forgetting the reality that they have been on a superhighway for the last ten years to create a nuclear weapon or a nuclear weapons program, with no speed limit. “And in the last ten years, they have gone from 136 centrifuges up to something like 19,000 centrifuges. This agreement will bring them down to 5,000 centrifuges. All of these will be under IAEA supervision. And I think this is a good outcome. “The other thing I've noticed is that they had a stockpile of something in the neighborhood of 12,000 kilograms of uranium. This deal will bring it down to 300 kilograms. “It's a remarkable reduction. I'm amazed that they would do this. But they have done it. And with respect to the plutonium effort, the plutonium reactor at Arak, which is now starting to operate, it's going to be shut down, except for minor parts of it, and concrete will be poured into the reactor core vessel. Powell cuts to the core of the issue. The Iran Agreement shrinks Iran's program, freezes it and wraps it in an inspection regime stronger than any ever negotiated. The opposition really doesn't have a rebuttal to this. That is why they have spun up minor issues to absurd heights, while ignoring the central accomplishments of this painstakingly-negotiated accord. Representative Debbie Wasserman Schultz from the Miami area, the chair of the Democratic National Committee, was under intense pressure from groups aligned with Israeli Prime Minister Benjamin Netanyahu to oppose the agreement. She went through a "gut-wrenching" process, she says, before deciding this was the best way "to prevent Iran from achieving their nuclear weapon goals." But to get to that point, she first had to examine carefully all the alternatives. None were real, she told CNN's Jake Tapper. The first is the myth of a "better deal." This is the idea that all we have to do is reject this agreement, impose new, unilateral sanctions on any nation that traded with Iran and we could then force Iran to scrap its entire nuclear complex. Not true, Wasserman Schultz, found out. “In thoroughly reviewing opponents' claims that we could using our banking system, for example, to wrestle our allies and Iran back to the negotiating table for a so-called better deal, no one presented me with any evidence to show me that that was possible. That is about as clear a rebuttal of the fantasy alternatives as one can give. She did it better than I did in a recent oped for the Los Angeles Times. But Debbie isn't done. She then takes dead aim at the latest tempest in a teapot: the claim that Iran will "self-inspect." Tapper asks her, "A few weeks ago, the Associated Press revealed that they had seen a document that would suggest that Iran, when it came to the military installation at Parchin, Iran would get to self-inspect." Nonsense, she says, with conviction and evidence. “And I was given probably the most thorough review that almost any member had access to as far as what the actual process is for Iran to reveal their previous military dimensions at Parchin. And I can say in no uncertain terms, without revealing the details, that they cannot self-inspect. “Absolutely cannot, and that the IAEA -- and, in fact, the head of the IAEA came out immediately -- and they hardly ever comment, Jake, but the head of the IAEA said that that was absolutely not the case. It's an excruciatingly detailed process that they will have to go through to certify. Nuclear experts agree. But having Debbie Wasserman Shultz say it, after over a dozen briefings and access to our best intelligence, is a powerful rebuttal. Particularly when she adds her pledge that she would never support any agreement that weakened Israel's security. "I'm the first Jewish woman to represent Florida in Congress. I'm a Jewish mother," she said. The Iran Agreement does not resolve all the issues with that nation that justifiably trouble Americans and Israelis. But, as Powell points out, it resolves the most important. "This deal specifically had to do with the thing that was most concerning to the world, most dangerous to the world," he says, "And that was their nuclear program, which could produce a weapon in a very short period of time." Powell and Wasserman Schultz did more that pretty good on the Sunday talk shows. They nailed it. Joe Cirincione is President of Plougshares Fund, a global security foundation. He is author of “Nuclear Nightmares: Securing the World Before It Is Too Late”, and is featured in the documentary film, “Countdown to Zero”. He is a member of the Secretary of State's International Security Advisory Board and the Council on Foreign Relations. The views expressed are his own and are not necessarily those of the US Department of State or the US Government. Follow Joe Cirincione on Twitter @Cirincione. For the past several weeks, considerable attention was paid to the number of Democratic senators announcing their support for the Iran deal. The number needed to insure that the deal would go through was 34. As the total came closer to the magic 34, media in the US and Israel were rife with analysis and commentary about what all this meant for Israel. Since the Israeli Prime Minister had invested so much personal capital in his effort to block the deal, and his US lobbying arm, AIPAC, had, likewise, made its defeat their number one priority, one could hardly blame liberal Jews for wanting to celebrate AIPAC's defeat or for some Israeli's to lament what they called "Netanyahu's strategic blunder". Both views, however, are naïve and shortsighted. On several levels, Netanyahu won. Let me explain. In the first place, since the mid-1990's Netanyahu and AIPAC have sought to divert US focus from the Israeli-Palestinian "peace process" to Iran. They succeeded. Two decades later, with Israel having moved to the far right and the Palestinians in near total disarray, there is no longer any serious discussion of Israeli-Palestinian peace. I would like to see President Obama pivot from his Iran deal "victory" to an international effort to end the occupation and secure Palestinian rights--but I'm not holding my breath. Having pushed senators to buck AIPAC on the deal, I suppose that the White House will hesitate before challenging Israel one more time. Next, by throwing what amounted to a political and diplomatic tantrum, the Israeli side succeeded in making itself the center of attention for the Administration and Congress. In the last few months, there were more meetings held, more hours spent, and more effort expended on reassuring Israel and its supporters of America's "unbreakable, unshakable" commitment, than in any period in our history. Not a week went by without reports of the President, Vice-President, or Secretary of State holding hours of meetings with supporters of Israel attempting to explain the deal and reaffirm their commitment. I've often described Netanyahu's bad behavior to that of a spoiled child who knows that when he misbehaves not only will there be no punishment, instead the over-indulgent parent will offer more love. The net effect has been the recognition that bad behavior not only makes you the center of attention, it also has the potential of reaping rewards. And speaking of rewards, the Administration is now offering Israel an enhanced security package totally $1.8 billion (Note: the Arabs will pay for their compensatory package, Israel will not). This new aid will be in addition to increases in US arms assistance and other add-ons, like Iron Dome, that Congress annually appropriates for Israel. Senators and members of Congress will also now be inclined to make clear their support for Israel. Many Democrats who announced their intention to support the president made sure that their statements declared undying support for Israel. The myth that "AIPAC will beat you if you don't toe the line" continues to hold strong, and so it can be expected that many members, despite their resentment of AIPAC and Netanyahu's pressure, will spend excessive time and energy between now and next November playing "make up" by proving their support for Israel. One area where those who lament Netanyahu's miscalculations may have a point is their concern that he has made support for Israel a partisan issue dividing Democrats and Republicans. But this is only partially true. For the reasons outlined above, little will change in the short term. Israel will continue to get massive amounts of US assistance, with bipartisan support. There will be little or no real pressure from leaders in either party on Israel to end its occupation and denial of freedom for the Palestinian people. And while Republican presidential candidates will denounce President Obama for "turning his back on Israel", one shouldn't expect full-throated defense of the president from any of the Democratic contenders. Nevertheless, a partisan split has developed on matters involving Israel. It predates Netanyahu, although his continued insults of the president and his noticeably Republican bias have greatly exacerbated this division. While not yet a Washington issue, polling shows that rank and file Democrats and progressives are fed up with the Israeli leader and his policies, and they want a more independent American policy toward the Israeli-Palestinian conflict. The emergence and rapid growth of liberal pro-Israel Jewish groups like J Street and Americans for Peace Now, or non-Zionist Jewish groups like Jewish Voice for Peace, or the expansion of the Boycott, Divestment, Sanctions movement on college campuses are all evidence of this shift. Also noteworthy was the immediate response of the progressive group Move On to support the president and oppose Chuck Schumer after the New York Senator announced his opposition to the Iran deal. And so put away the handkerchiefs or the celebratory banners, the net impact of Netanyahu's challenge will be a short-term gain for Israel. They and their supporters were the center of attention and the focus of lawmakers. In that regard, little has changed. But change is coming and dissent is fermenting. It just won't happen as quickly as is needed to put US policy on a corrected course toward the Israeli-Palestinian conflict. James Zogby is President of the Arab American Institute and author of “Arab Voices”. Follow him @AAIUSA for more. Generals have marked their operations by putting pins on wall maps of the world. I could do the same for friends and neighbors who have just gotten back from some place and are about to leave for another. They often move in battalions meeting friends or family -- who themselves have traveled great distances -- in some center of cultural/culinary/scenic excellence. A few appear to spend fewer nights in their gracious homes than in airport hotels, preparing for a pre-dawn flight out. There may be no place like home, but elsewhere always seems preferable. Are we to believe that their travels are as fabulous as their Facebook posts suggest? Note the pictures showing them in some sublime Croatian village, never at overcrowded Gate 42B. The dreaded FOMO -- fear of missing out -- may contribute to this perpetual need to venture far. Oxford Dictionaries defines FOMO as "anxiety that an exciting or interesting event may currently be happening elsewhere, often aroused by posts seen on a social media website." The mania for making bucket lists further inflames this angst. The book "1,000 Places to See Before You Die" is the mother of them all. When someone asks the author, Patricia Schultz, to cite her favorite trip, she responds, "My next one." Given her mile-long list of destinations, one can well believe Schultz's contention, "It is rare that I return to a place where I have already been." How about the quality of time spent traveling? You've seen those "36 Hours in Madrid" travel pieces listing four hot restaurants/bars, three markets and two museums in addition to the Prado. The reality is you and a million other tourists racing around the plazas to witness the "relaxed" Iberian culture enjoyed by old Spaniards who themselves never go anywhere. As for Italy, Schultz raves about the Piazza del Duomo in Parma, adding that one might want to visit the city during the Festival del Prosciutto. That would knock off two items in one day. These checklists often seem "a commodification of cultural experience," Rebecca Mead wrote in The New Yorker. And how deep is the experience? Some of the great sites go almost unseen by tourists using them mainly as picturesque backgrounds for their selfies. I, too, have fallen into the FOMO trap at times, gulping rather than savoring travel. Why must the most valuable trips involve being far from home and spending a lot of money? I'm trying to fight back, though. I've made peace with the fact that I will never skydive in New Zealand, heli-ski in Zermatt or bungee jump in the Vanuatu archipelago. I wouldn't mind seeing India's Golden Temple of Amritsar or Victoria Falls in Zambia/Zimbabwe. But if I die before that happens, then I guess I won't see them. "Leisure" and "vacation" used to be more or less used interchangeably. Now they're very different. Non-working days are often devoted to the labor of earning more badges to place on the ledger of life. Promoting frenetic travel has become a way to profit off Americans' sense of inadequacy. Note how few lists include simple, free things, such as observing a year's worth of full moons -- or identifying the trees on your street. About dying. The greatest regrets of dying people, according to a famous list, focus on personal ties -- for example, neglecting old friends. One, importantly, is wishing they hadn't lived the life others expected of them. As far as we know, none of the interviewees cited not having rafted the Mangoky River in Madagascar or missing out on the fire dance festival in Bhutan's Bumthang District. Not that they might not have been interesting. Who Says America Doesn’t Need Unions? In their ongoing, all-out assault to crush labor unions, corporate forces have fabricated a cultural myth to undermine popular support for labor: Unions, they insist, are no longer needed. They tell us that in today's entrepreneurial economy, workers must compete with each other not cooperate. Before swallowing that wad of hornswoggle, let's revisit Flight 1549. As it took off from New York City in 2009, the jet hit a flock of geese, lost all power, and had nowhere to try a crash landing. But Capt. Sully Sullenberger knew what to do: Use the Hudson River as a landing strip! Amazingly, it worked! Dubbed the "Miracle on the Hudson," the lives of all 150 passengers were saved. But no supernatural powers were at work – Captain Sully himself is not only a member of the Airline Pilots Association, but also served on that union's national governing committee and was its former safety chairman. Indeed, he and the APA union have had to fight airline chieftains who keep trying to cut back on the safety training programs that teach crews how to save lives. Nor was Sully alone in this "miracle." The cool-headed flight attendants who quickly moved 150 nearly-panicked people off the plane were members of the Association of Flight Attendants, another union that trains to avert disasters. The ferry crews that zipped into action, skillfully maneuvering their boats within four inches of the plane's wings to rescue passengers – they're in the Seafarers International Union, which gives them the safety courses that enabled them to respond as they did. The cops, firefighters, and air traffic controllers also performed marvelously – all union trained. At a time when corporate interests in all sectors of our economy are trying to eliminate unions, remember Flight 1549 – the Union-Made Miracle on the Hudson. A Rail Firm From China Puts a Toe Into the U.S.
BYLINE: By JAD MOUAWAD; Keith Bradsher contributed reporting. Mass., that will assemble new cars for Boston's subway system. transit system's Orange and Red Lines. years and Red Line cars that have been operating for 44 years. transit systems or are looking into high-speed rail. trains in the world, with an average speed of 218 miles an hour. jobs,'' Mr. Yu said, speaking through a translator. other by bidding against each other. competitors. Its bid was a little more than half of Bombardier's $1 billion bid. 500,000 people through fast rail this year. in the United States may be more modest for now, Mr. Blaze said. which makes it harder for new entrants to compete, he said. other high-speed networks across Europe, Japan and China. States, to earn the ''Made in U.S.A.'' label. If you're a friend of the working man and woman, it's hard to be joyous on this Labor Day. Unions, the vehicles for workers' collective action, now represent just 6% of the private sector workforce, and work in the 21st century has been so utterly transformed that many see organized labor as irrelevant. But the core mission of unions-- to intelligently organize working people for collective action in pursuit of security, prosperity and equality for all -- is especially vital today as workers face a fresh set of challenges: flat or declining wages, eroding or disappearing benefits, increased automation, pummeling by politicians and a new cut-throat, contract-based, on-demand economy that offers minimal protections and elevated risks. It's little comfort that labor reports show healthy job creation and declining unemployment. Anxiety rules the day. Seemingly gone forever is the world of secure, 9-to-5 jobs, pensions, good health insurance, affordable housing and so much of what unions brought to millions of Americans. Instead, we now live in a new gig economy that looks an awful lot like the insecurity of the 19th century. Adding salt to those wounds, we have both an increasing concentration of wealth and rising poverty. A recent GAO Report found that more than 40% of American workers exist in the freelance world. Some are there by choice. But many who would rather have stable, full-time employment are working irregular hours, jumping from job to job and living lives that are insecure. That's no way to pay the bills month to month, much less support a family and send a kid to college. Behind the efficiency and consumer convenience offered by Uber, Amazon and so many other apps and systems that seem to represent the future of the American economy are millions of warehouse workers, drivers, cleaners and food delivery-people, many earning near-poverty wages and only staying barely afloat by working more and more hours. We forget that once, unions brought us out of just such an economy, creating a nation of middle class prosperity. And if they are rethought and reinvigorated -- relying on new tactics and tools -- they can do so again. This will be no easy task. Even with a supposed friend in the current occupant of the White House and a few pockets of strength across the country, most of the political stars are aligned against unions. Much has changed, and much has not since President Harry Truman told workers assembled in Detroit's Cadillac Square in 1948 that "Working people need every ounce of strength they possess to meet today's problems. Forces in the world, and in our government, would destroy free labor." As he runs for President, Wisconsin Gov. Scott Walker wears it as a badge of courage that he faced down and broke organized labor in his state. Closer to home, New Jersey Gov. Chris Christie has said that the nation teachers' union needs a "punch in the face" because they are the "single most destructive force in public education." 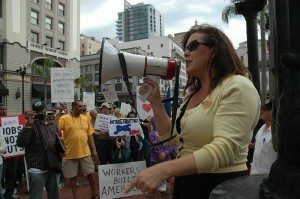 It isn't just Republicans; bashing unions has become a common tactic within the Democratic Party as well. The perception is broadly shared among ordinary American workers, millions of whom now see union members as privileged. And why shouldn't they? Union members have benefits that most workers don't: workplace protections, higher wages, "Cadillac" health insurance plans and defined-benefit pension plans to name a few. Against the backdrop of an economy that has profoundly destabilized, people conclude that organized labor has somehow protected itself economically at the expense of the rest of us. Rather than ask how in a country where these benefits were once the norm for all workers were lost, they want to take them away from those who have managed to hold on to them. However, bemoaning the terrible state of current affairs isn't a useful strategy, nor is romanticizing labor's past. If all we do is celebrate the great strikes, marches and political breakthroughs of the past, we breed feelings of impotence. We need to realize that unions are still needed, for the same reason they always mattered: workers face risk, insecurity and uncertainty. But we must also understand that if unions are to remain relevant, they must smartly reinvent themselves to meet and match our modern moment. In recent years, many labor leaders have gotten this message. Rather than yearn for their powerful past, they are trying to shape the future -- and succeeding. Consider the United Auto Workers -- yes, the UAW. The mother of all old-line unions, the bogeyman blamed for the demise of Detroit, is still relevant. Up against a decimated industry, domestic deindustrialization and the transplanting of factories to Mexico, China and the nonunion U.S. South, the UAW is reviving. Under the keen leadership of President Dennis Williams, the UAW has gained membership every year for the last four years and is busy trying to organize Volkswagen and Nissan in right-to-work states, where the conditions are hostile. They haven't given up on the original dream, recognizing that dogged campaigning is hard and long, but sometimes the only way forward. Consider the UAW's Voluntary Employee Beneficiary Association (VEBA), created in 2007 in the wake of crushing costs and the fiscal collapse of the auto industry. In 2007, this trust to handle all the benefits for the union's retirees, was greeted with the expectation that it would collapse under its own weight. It didn't. The union has kept its promise to its retirees. We should pay attention as the current UAW-Big Three contract expires on Sept. 14. The new contract could mark a new Treaty of Detroit with far-reaching implications for organizers across the country. As workers in old-line industries wake up, workers in emerging ones are coming to realize that unions are not anathema to their experience. Here, the hero of the day is Rome Aloise, international vice president and secretary-treasurer of Teamsters Local 853 on the West Coast. The Teamsters have been building on their history of aggressive organizing efforts -- by targeting the transport drivers who ferry the highly paid tech workers from San Francisco to the Silicon Valley headquarters of tech giants such as Google, Apple and Yahoo among others. Trying to organize these companies and this industry, which tend to consider themselves above it all, seemed impossible. The Teamsters might have found the wedge into the tech economy through these drivers. We will have to watch and see. New industries, too, are discovering the power and virtues of organizing. The staffs of online news shops, including the Guardian US, Vice and Gawker (which opened the floodgates with a very public decision to unionize) have voted in the last year to unionize. At the same time, labor is extending new hope to the service and retail economies where so many low-wage American earn a living. Stuart Applebaum, president of the Retail, Wholesale and Department Store Union, has spearheaded changes to how many retail giants are scheduling their employees. Applebaum's union brought national attention to the retail practice of "on-call scheduling," in which millions of workers, many of whom were not unionized, had to wait until the last minute to know if and when there were working. How are you supposed to arrange childcare if, instead of having a determined shift, you're always and forever at your employer's whim? The union's efforts led to New York State Attorney General Eric Schneiderman's office sending major retailers in New York a warning that they might be in violation of New York laws for such practices. Many big retailers, seeing the writing on the wall, have now stopped this practice and as a result, thousands of New York's retail workers benefited from the union's efforts. Applebaum intelligently understood the union could leverage the power of the state to protect workers they couldn't yet organize. And then there is American Federation of Teachers' executive vice-president Mary Cathryn Ricker, who while president of the St. Paul Federation of Teachers developed a partnership with t he communities of parents they serve. Teacher s' union s a re typically painted as the big, bad enemy of reform, the force that mindlessly resists changes necessary to deliver improvements school kids desperately need. In Minnesota, Ricker's union built bridges with parents and the broader community -- democratizing and reframing the union's demands, and broadening what was seen as narrow sets of employment issues into larger ones about serving students. In the end, it served the students of St. Paul too. Ricker, like Sidney Hillman, founder of the Amalgamated Clothing Workers Union, sees the value of social unionism, the connecting of the union to the community. Wb What these examples demonstrate is that, despite plenty of reasons for pessimism, forward motion is happening, building on proven traditions uilding of organizing, community building and using the levers of the state when possible. Unions are rewriting the playbook, recognizing that workers need to access allies, the courts and use new technologies to further workers' rights. The Fight for 15, the movement to increase the minimum wage -- a movement that is notching some remarkable successes in winning better pay for a workforce that remains largely unorganized-- suggests progress can be made if workers can make a concerted connection to consumers and supporters. Though we should never be intimidated by organized labor's past, we should allow ourselves to be inspired by it. In 1909, 20,000 mostly young immigrant women, Italians and Jews, went out on strike in the women's garment industry. The "Uprising of the 20,000" became the largest strike by women workers in American history. The odds were against them. Surrounding them was a moribund union movement, one that either ignored or scoffed at the idea of women -- much less immigrant women -- becoming ef fective workers and strikers. Their employers were organized against them and equipped with an army of unemployed workers ready to take their jobs. But, the strikers had gutsy leaders who were able to connect their struggle to a larger community of concerned Americans. They won huge victories, including a set 52-hour workweek, and paid holidays and not only organized most of the city's many garment workers in the course of the fight but set the stage for several more years of labor struggles that won still more victories for the largely immigrant workers. One sees some of this spirit today: effective leadership that uses the spark of workplace injustice to light a fire in larger communities. As Truman said in Detroit: "The gains of labor were not accomplished at the expense of the rest of the nation. Labor gains contributed to the nation's general prosperity." The success of labor has never been and never will be an us-vs.-them thing. It has always been and will always be a we thing. Let's remember that this Labor Day.Richard Greenwald is a professor of history and dean of the School of Humanities and Social Sciences at Brooklyn College. NLRB Dramatically Expands Joint Employer Standard in Browning-Ferris Industries of California, Inc.
Can Our Transit System Get Any Worse? Union leaders see the potential impact of the ruling as being a "game changer." Despite the drought, communities are pushing ahead with plans for new housing, with advocates saying there will be enough water to meet the demand. 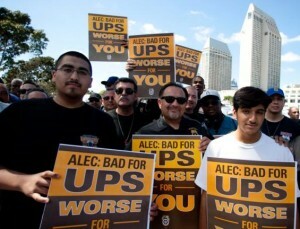 A Gallup poll released this week says organized labor is making a comeback in the public consciousness. Support for labor unions has jumped five percentage points over the past year, with nearly six in 10 people approving of unions, up from 48% in 2009. This increase in support comes despite an unrelenting effort by right-wing groups to blame unions for everything from unemployment to inciting class war. There are twin editorials/columns in Tuesday’s Union-Tribune misrepresenting the truth, casting labor as the evil opponent of good government and economic prosperity. Today’s column will examine the phenomena driving the resurgence of the contemporary labor movement and the challenges it faces, along with some information on organizing efforts. On Monday, Gov. Jerry Brown signed legislation requiring large chain grocery store owners to retain employees for at least 90 days after a merger or buyout. Management would be required to offer existing employees continued employment, but would not be prevented from dismissing people for cause. San Diego Assemblywoman Lorena Gonzalez authored AB359 to protect workers faced with uncertainty following corporate mergers or sell-offs. The bill was strongly backed by labor groups, including the United Food and Commercial Workers, which represents grocery workers. “The grocery industry is changing at a fast and furious pace and that can create a lot of uncertainty for the employees that have made these stores so profitable,” said Mickey Kasparian, president for the San Diego-based United Food and Commercial Workers Union Local 135. Labor-backed legislation enacted in 2014 included measures calling for three paid sick days, new protections for temporary and contract workers, reporting by big companies with workers receiving Medi-Cal (along with the cost to taxpayers) and protections for immigrant workers. Decades of declining union membership in the US are hardly a coincidence. 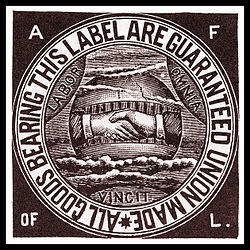 Since the day the National labor Relations Act was passed in 1935, corporate interests have worked unceasingly to weaken its status as the legal foundation allowing employees to organize into trade unions, engage in collective bargaining for better terms and conditions at work, and take collective action including strike if necessary. William Domhoff’s the Rise and fall of Labor Unions in the US documents these efforts to undermine organized labor over the past 80 years. Many of the popular misconceptions of union activity can be traced to the efforts of the pro-business groups. While some shortcomings in the union movement came through corruption, quests for personal power and unresponsiveness to the everyday needs of members, other failures can be attributed to divide and conquer strategies involving race and red-baiting. Unions were afraid to innovate, and they got away from being a real labor movement to being business unions administering contracts. The contradiction between “business unionism” and a broader social movement has been (and is) at the heart of the history of labor organizations. The nadir for the labor movement came in the millennial years, as seven unions – led by the Service Employees International Union – bolted from the AFL-CIO in 2005, saying they were frustrated with leadership and wanting a more aggressive approach in building membership. Today’s labor movement is seeking to broaden its influence, going beyond the interests of traditional unions to include constituent groups like environmental and civil rights organizations. There’s what is called the alt labor movement, which is things like the National Guestworker Alliance, the National Domestic Workers Alliance and Domestic Workers United, the fast food worker strikes, the Wal-mart workers groups, and hundreds of worker-centers around the country. It’s too soon to tell if the changes within the labor movement will result in meaningful growth for unions. One thing is for sure, and that’s the complete failure of (most) corporations to treat workers with respect. Whether it’s at Walmart or Amazon, the modern day business model too-often consists of creating a workplace devoid of respect or fairness. For entry-level or semi-skilled workers it seems incredible to me that there is no shame for these companies as they depend on government assistance for their employees. It’s really not a bug. Their business models are designed that way. A wave of anti-union legislation at the state level in recent years has blocked many of the paths to organizing for collective bargaining. Although a majority of Americans support organized labor, most remain pessimistic about its future. Fifty-three percent predict unions will become weaker in the future, and only 21 percent predict they will become stronger. Twenty-three percent said they think unions’ influence will remain unchanged. The correlation between the decline of union activity and the increase in economic inequality is certainly changing the nature of public perception. And the recent vote of the Securities and Exchange Commission requiring public companies to disclose the pay gap between the CEO and the average worker is likely to further stoke the controversy. A recent study from the Economic Policy Institute, a left-leaning think tank, showed that chief executives of large public companies saw their pay soar in recent decades. That study said average CEO compensation was $16.3 million in 2014, an increase of 997% since 1978, compared with 10.9% growth for the typical worker. In recent months workers at several digital media companies including Gawker, Salon, the Guardian US, and writers at Vice Media have voted (by large margins) to unionize. Not all efforts have been successful. Labor reporter Mike Elk is no longer with Politico after announcing plans to organize workers at the company. Elk is among those backing The National Convergence to Organize Digital Media, to be held in Louisville, Ky. in October. President Obama’s ambitious trade push is back on track, after several near-death moments, in large measure because top Republicans stood by him. Don Blankenship, former chief of Massey Energy, will stand trial over safety violations related to a deadly mine explosion in West Virginia in 2010. Candidate Clinton gives voters a distasteful reminder of what “Clintonian” means. No one deserves to be on our money more than Alexander Hamilton. Andrew Jackson is another matter. We'll never forget you Jim. James J. Leonhardt, 58, of Sycamore died unexpectedly on Tuesday, July 14, 2015. He was born January 10, 1957 in Hoffman Estates. The son of Stanley and Charlotte (Chapman) Leonhardt. He married Karin A. Horn on May 23, 1981. Jim attended Northern Illinois University. He was a compassionate Teamster Organizer for IBT and long time member of Local 710. Jim was a sports enthusiast and enjoyed being around family pets, especially, Diesel, Rudy and Stella. His greatest joy was spending time with his family and will be remembered as a wonderful father and grandfather. Survivors include one son, Bret Leonhardt; two daughters, Bridget (Matthew) Flynn and Alicia (Brian) Welch; two grandchildren, Kaitlyn and Liam Flynn; five siblings, Daniel Leonhardt, Jo Marie Phillips, Ruthie Kennedy, Ann Amedeh and Stanley "Buddy" Leonhardt; his special friend, Linda Robinson; several nieces and nephews and his mother-in-law, Beverly Horn. He was preceded in death by his parents and his wife, Karin in 2013. A Memorial Visitation will be held on Thursday, July 23rd from 3:00-8:00 PM at the Butala Funeral Home and Crematory in Sycamore, with a wake service being recited at 8:30 PM. A private mass will be celebrated on Friday at the Church of St. Mary in Sycamore. In lieu of flowers, memorials can be made to Jim's family to be determined at a later date in care of the Butala Funeral Home and Crematory, 1405 DeKalb Ave., Sycamore, IL. 60178. For info or to sign the online guest book, go to www.ButalaFuneralHomes.com or call 815-895-2833. With you at our side, we made history today. 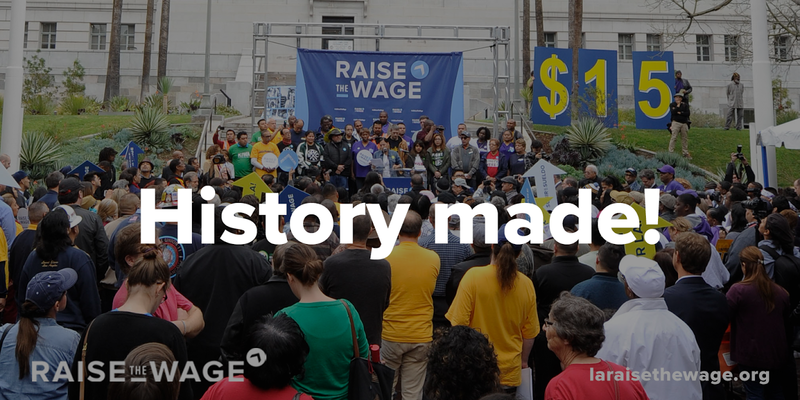 This morning the Los Angeles City Council voted 13-1 to officially raise the wage to $15. This is nothing short of historic. Historic for our city. Historic for the economic equality movement. And historic for full-time workers and their families who live on poverty wages. We couldn't have done it without you. And we can't thank you enough. This is your victory. This is our time to celebrate. Thank you to all that participated in the car show and thank you to the Members and their families that attended. This Union is nothing without you, YOU ARE THE UNION. God Bless the Teamsters! VOTING YES for TEAMSTER representation! for their hard work on this campaign. Port truck drivers across the country are fighting employee misclassification and organizing for dignity and respect. THE FIGHT IS IN FULL EFFECT IN SAN DIEGO, CA!!! was ratified with 328 YES votes and 70 NO votes. Local 896 Members was also ratified. Read the IBT Press Release Here! THE ORGANIZING WORKSHOPS FOR THE MONTHS OF APRIL AND MAY HAVE BEEN SUSPENDED. Our next Organizing Workshop will be held Sunday, June 14, 2015. Click HERE for a comparison of current/New NLRB Representation-Case Procedures for your viewing. You can also read more on the NLRB's website at http://www.nlrb.gov/. DRIVERS AT FEDEX FREIGHT IN STOCKTON, CA CHOOSE TEAMSTERS!!! Congratulations to Organizer Rob Nicewonger and Teamsters Local 439 for their big win 33-12. Power to the Teamsters! DRIVERS AT RYDER INTEGRATED LOGISTICS HAVE VOTED OVERWHELMINGLY IN FAVOR OF REPRESENTATION BY TEAMSTERS LOCAL 952. CONGRATULATIONS BROTHERS! In mid-December the Multi-Employer Pension Reform Act was passed and signed. The new law is referred to as MEPRA. The Western Conference of Teamstesr Pension Fund (WCTPF) is in very strong shape. This law is going to allow some of the other funds avoid insolvency. READ the recent letter from Chairman Chuck Mack regarding the law. seat by 43 votes over Lou Correa, but is recount coming? Local 952 just learned of this news hours ago. We are looking further into it and will be scheduling informational meetings ASAP. Keep an eye on your Union bulletin boards, stay in contact with your Shop Stewards and if you have any questions please contact your Business Representative. NOTICE TO ALL MEMBERS EMPLOYED AT ALBERTSON'S, INC.
On behalf of our Executive Board and Staff we would like to thank everyone who participated in the Car, Truck and Bike Show. All of the entries looked great, but only two could be winners. Congratulations to Brother Guillermo Garibay from Durham on winning 1st Place in the Car/Truck category with his 1955 Chevy Bel Air. Congratulations to Brother Lencho Ambriz from CVS on winning 1st Place in the Motorcycle category with his 1999 Harley Davidson Road King Classic. Port drivers fighting back against unfair treatment and to demand the respect that all workers deserve. They are taking the fight to truck yards and to the port terminals they serve. All TEAMSTERS are invited to volunteer on the picket line. Monday, April 28th and Tuesday, April 29th @ 6AM. Green Fleet Systems, 20500 S. Alameda St., Carson, CA 90810.